A serve of 80 chewy mints will delight your staff or clients when you gift them the custom Big Chewy Mints Large Apothecary Jar. Everybody loves the cooling sensation that mints bring. 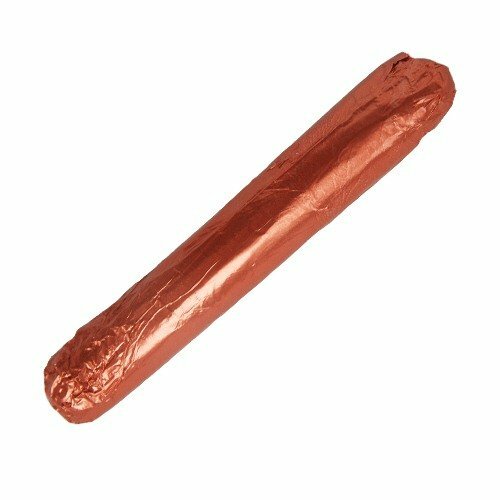 They are a staple lolly, extremely popular in meetings, conferences, business lunches, and all other events. So giving away the promotional Big Chewy Mints Large Apothecary Jar will be very much appreciated by your staff and clients. The personalised Big Chewy Mints Large Apothecary Jar contains 80 pieces of refreshing chewy mints in individual packaging. A full colour sticker of your brand, logo or promotional message is placed on the body of this reusable jar. It really is a great promotional product that will bring you lots of marketing value. 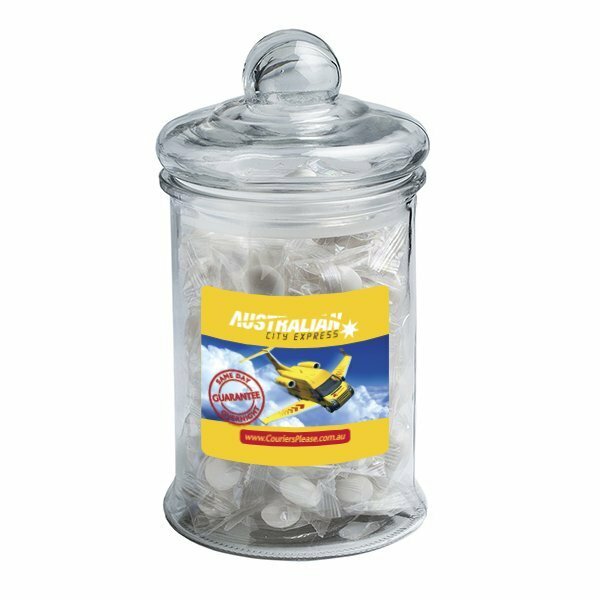 Because there are plenty of lollies in our delicious customised Big Chewy Mints Large Apothecary Jar, it’s only natural to share these around. Your clients can place this product in their staff meetings, hotel reception counters, conferences and the like so everyone can have a taste of these refreshing mints. What does that mean for you, then? Your brand is prominently displayed on these jars, for everyone to see! Now, that’s great marketing mileage for you! More than that, these large apothecary jars can be refilled with new candies or can be reused for other things. Again, your brand is still there long after the treats are gone. This branded Big Chewy Mints Large Apothecary Jar is really a winning product! 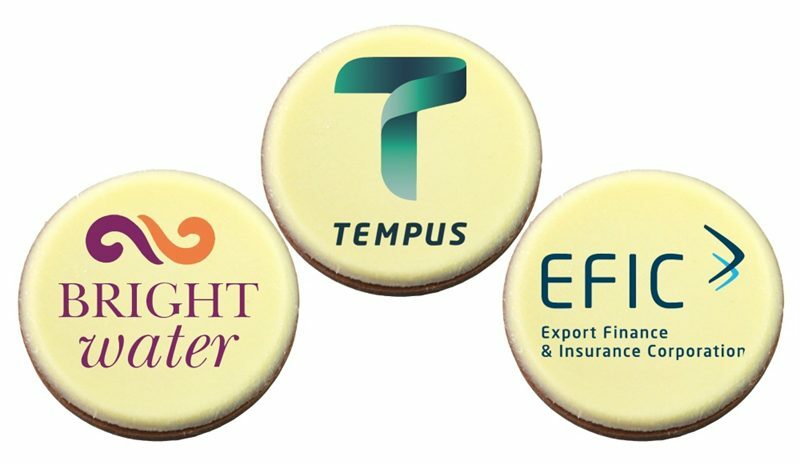 We have a lot of other personalised mints in a whole lot of packaging options, from branded mint rolls to the popular customised mints coffee cup, corporate mentos canisters, and a whole lot more. Feel free to look around. We’re confident you will find the best promotional confectionery that suits your needs. Ready to place an order? You may do so directly on our website. Should you need to speak to one of our lolly experts, give us a call on 1300 008 300. We look forward to serving you! If making your brand pop all year round is a marketing priority, then how about considering our Fast Caps range of promotional head wear as well. You can mix ‘n match your assortment of confectionery with caps to really add sizzle to your upcoming events. We hope you like our popular Freestyler Snapback Cap.